The Institute for Cultural Heritage – Istituto per i beni artistici, culturali e naturali (IBC) – of the Emilia Romagna Region, founded in 1974, operates as an advising body for the regional government and local authorities in policy making related to cultural heritage. It promotes projects in the field of architectural and environmental heritage, museums, libraries and hierarchies, for different purposes: restoration, protection, enhancement and enjoyment of cultural heritage. 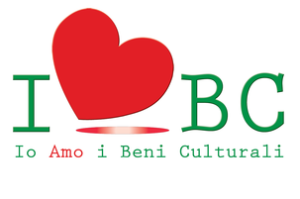 The IBC Emilia Romagna has been developing best practices in youth engagement to the enhancement and management of cultural heritage goods, involving both schools and young associations. We interviewed Valentina Galloni, coordinator of the pioneering project “I love cultural heritage”. In Emilia Romagna, The Institute for Cultural Heritage has adopted a new policy to actively engage youth to their local cultural heritage. This policy is realized through two already consolidated initiatives: one devolved to youth cultural agencies of the region – the “Youth for the Region” contest – and the other – the contest “I love cultural heritage” – aimed at targeting students in schools. The “I love cultural heritage” starts in 2011 to ensure the regional reach to a European project, where at the time IBC was a partner, called “Acqueduct”. The aim of the project was to train teachers and cultural institutions’ operators to understand the value and the importance of cultural heritage as a vital tool to spread key transversal competences to students. Those competences, as established by the Panel of Reference adopted by the European Parliament and the Council in 2006, are: learn to learn, social and civic competences, initiative and entrepreneurial spirit, and cultural expressions and consciousness. In order to effectively meet those goals, several pilot projects started in partner countries in collaboration with schools and cultural institutions actively involving students. Given the effective methodology employed and the successful results achieved by students, a new regional initiative has been envisioned by IBC. This is how “I love cultural heritage” came to life, encouraging every year new schools to join the partnership together with museums, libraries and archives, and to present a project adding value to local institutions and/or cultural assets. The active students’ involvement and the development of transversal competences are themselves two key goals of the project. Which are the projects’ evaluation criteria? Which supporting activities IBC offered in addition to funding, if any? For the projects’ evaluation we use the following criteria: innovation and originality of the project proposal and communication; clarity and coherence in its articulation; the active participation of students in its implementation; the capacity and modality of schools and other local stakeholders’ engagement; the proposal reproducibility in other scholastic contexts or museums, and libraries. Thus, we support the project not only financially but also in terms of training, documenting and promotion. The referents take part in meetings with initiative’s coordinators, with those who previously implemented projects and with the MOdE’s – Museo Officina dell’Educazione dell’Università di Bologna – professors, for what concerns the documentation and the evaluation of the projects. At the end of every year, results are collected, published, and spread in affiliated websites, in as much they can inspire future projects; they will be further presented by the same students in the final conference. Which are the main innovations introduced by students in the project’s partners institutions? During these years, students have achieved extremely original and innovative projects: board games, eBooks, audio guides, videos, interactive and emotional maps, bas-reliefs, design objects, xylographies, didactical routes, web sites, promotional projects for tourism, virtual reconstructions, catalogues and exhibitions, monitoring attentively every phase of the process. Many projects connect students coming from different schools linking their different competences to reach a shared goal. For example, in a recent project students made a short film to highlight the value of some paintings hosted in a museum: students from high school not only acquired knowledge in various disciples (e.g. art, history, cinema etc.) but also developed the new competences like film-making, writing and acting. Older students from a cinematographic institute helped and guided them in this venture; students from fashion school crafted their costumes while students from art school helped with the scenography of the movie. Which are project’s main objectives achieved? And which the main criticisms? The different editions of the contest involved thousands of students who have worked with hundreds of cultural institutions, organizations and associations from all over the region. Museums, archives and libraries are the institutions where students work as a group, learn, create, play and make use of their learned competencies and their talents; each one of them is given the possibility to have an active role in the achievements of a cultural project; each one understands the role he or she can have in taking care of a cultural asset and how this can impact future generations. Students have the possibility to actively experiment the museum, the archive and the library as areas for active learning. Here they can develop new forms of communication to enhance their cultural heritage’s value. Now other cultural institutions are involved as well: initially the project was designed only for museum, later on archives and libraries were involved too. The funded projects have increased (currently 20) as well as the funds allocated for each project (at the moment 4000 euros: 2000 for the school and 2000 to the cultural institution). Some criticisms are due to the fact that these activities are extremely challenging, since they develop through the whole academic year. Therefore, they require commitment and energy in task accomplishment and organization between the different involved actors. Nevertheless, the overall evaluation is very positive and enthusiastic from the part of the students. Over the years, also a project called “Youth for the Region” has been developed. What are the objectives and results obtained up to date? In this case as well, the main objective lies in the active involvement of the youth, in order to create new forms of management and communication of cultural assets. Youth associations are invited to partner up with agency, possibly owner of a cultural good, to present an innovative project with regard to the governance of the asset. Each year, several projects compete in the contest and, in order to select the 10 best projects, the criteria employed are among inventiveness, active participation and capacity to involve the entire local community. Moreover, a necessary condition for the admission is to receive either from the respective agency or from a third subject, a contribution of at least 2000 euros. As a matter of fact, the capacity to attract new resources is ultimately considered a further the criteria. Each project financed with a 10.000 euros funding, is further monitored and followed up by the Institute for Cultural Heritage becoming example for next projects. These projects represents occasions to research and to collect historic material, to learn how to use new technologies, to strengthen the link between cultural assets and the surrounding landscape, to give new inputs and awareness to the local community about the importance of cultural heritage. They foster civic engagement in cultural heritage commons’ management, fostering social inclusion and job retrieval. The participation to the contest can constitute an impulse for some associations, evolving them from start-ups into concrete realities; for others, it has been an occasion to value and acquire recognition for their own work while enlarging the local partners. As demonstrated with these projects, Culture & Participation are key part of the IBC mission and activities at the cutting edge of in the current debate. Which are the main obstacles encountered? And which the potentialities still to experiment? Unfortunately, students are often committed to other activities which obstacles the possibility to make a real job from these projects. They should be supported more and for a longer period. A public – private partnership should be promoted to create a financial system to support their activity.